Varese, 6th June 2018 – The history of motorcycle racing is closely linked to MV Agusta’s history, the most successful European motorcycle manufacturer of all time, with 75 world titles (38 rider and 37 manufacturer) from 1952 to 1974. The MV Agusta team lined up at the start for the very first race of the series that has become the MotoGP World Championship. At the beginning Carlo Ubbiali scored the fourth place, and then won the race the following week in the Netherlands. It was July the 3rd, 1949. John Surtees, Ubbiali himself, Mike Hailwood, Phil Read and then, of course, Giacomo Agostini: riders who became legends and who defined the history of motorcycling, riding a MV Agusta motorcycle. A legend that also marked Italian history, with MV Agusta as symbol of the rebirth and success of an entire nation. Forty-two years later, MV Agusta is back on the top, with a leading role. MV Agusta joins the Moto2 World Championship with Forward Racing Team. 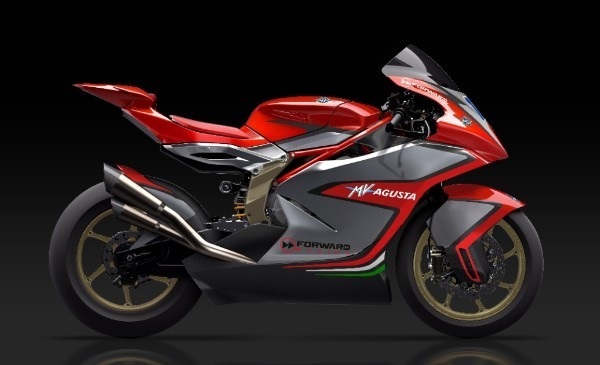 MV Agusta decided to rely on Forward Racing Team, a team founded in 2009 that runs in Moto2 World Championship since its inception in 2010, reaching the podium in the inaugural race and obtaining their first victory in the 5th Grand Prix in Silverstone. Forward Racing Team has also participated in the MotoGP World Championship, obtaining the first place in the world ranking reserved for Open bikes in 2014 with Aleix Espargaró. The first prototype that will run in the Moto2 World Championship is already in advanced stage of development, the debut on racing track is in scope for July 2018. “MV Agusta is the most successful brand in history of motorcycling” said Giovanni Castiglioni, President of MV Agusta. “The return of MV Agusta to the Grand Prixs is a great honor for me. The Moto2 World Championship is very competitive and in order to be successful we need to apply the best of our technology and experience in racing motorcycle development”. “The dream of bringing MV Agusta back to the World Championship was born with Claudio Castiglioni, to whom I have always been linked by deep esteem and friendship, and the dream came true with his son Giovanni” said Giovanni Cuzari, Forward Racing Team CEO . “I find it difficult to express with words what this means, to be actively part of a common project with both MV Agusta and CRC, the two Italian excellences that created the most beautiful motorcycles in history. I worked many years for this to happen, and now I feel proud to announce that MV Agusta will race in the Moto2 World Championship with Forward Racing Team. I am also aware of the great responsibility involved in having such a prestigious brand on the hulls of our motorbikes. Our team, along with MV Agusta and CRC, will strive to achieve, in the shortest possible time, what all the fans, and we first, expect and dream”. Hace pocos dias he comenzado un web, la información de tu blogg me proporciona mucha informacion. Gracias por todo tu tiempo y trabajo.